Marcus is one of Nigeria’s young innovators in ICT and a pioneer member of I AM DIGITAL LAGOS. 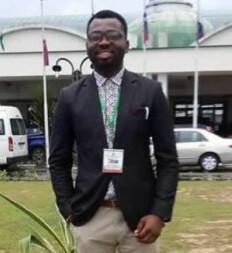 He studied Computer Science from Abia State Polytechnic, Aba, Nigeria where he represented his school in various competitions at both national and international levels. His competitive engagement won him several awards that include Best Software Developer of the School; Best Software Architecture and Documentation by NITDA 2012; 2nd Best Software for National Association of Computer Science Students (NACOSS) National Exhibition; Best Mobile Developer for NACOSS South East; Youth Ambassador for Social Behavior and Communication Change; 20 Global finalist Nominee for International NASA Space App 2014 and Global Finalist Nominee for World Youth Award Submit 2014. His core domain in software development is Web and Mobile applications using several technologies. He is a certified professional with competencies in Oracle, PHP, Certified Internet Webmaster, Internet History, Technology and Security (University of Michigan), Managing the Company of the Future (London Business School). He is a member of Africa ICT Alliance (AfICTA), Nigeria Computer Society, Institute of Electrical and Electronics Engineers, Computer Professionals of Nigeria and Young Innovators of Nigeria. He has served in Human development and administrative positions as Team Lead for Young Developers in Nigeria, Youth Agent for Social Behavior and Communication Change [SBCC], Software Director for South East NACOSS. He has a standing interest in the participation of young people in ICT, eLearning, ecommerce and Education towards national development, with a passion for humanizing technology into everyday life. As an inspired young geek with creative instincts and relentless drive to create innovation, he has worked with team of great personalities and mentored by one of the African renowned ICT personality “Chris Uwaje”. His wealth of knowledge in software has extensively produced products of global uniqueness and acceptance. He has developed enterprise software for individuals and corporates organizations and government while with Connect Technologies and Mobile Software Solutions which include School-Portal, NAGROSOL, ANDORRA eLearning Systems, Crime Reporting and Response System, Health-Wise App, HIV/AIDS App, TeamWork App, eLibrary App, Business Solutions etc. The knowledge Olympiad is here and Africa must step forward to be counted and digitally ready at all levels, if she must survive the emerging critical challenges, traumatic impact as well as secure the opportunities and benefits presented by ‘globalization order’ of the 21st Century. Competition had always been the Hallmark of appraising human development at traditional and modern levels. In the Stone Age as we know it, physical muscle was the measure to determine right and progress. Today, Humanity lives in a ‘Software-first’ World, where Innovation and disruptive creativity has become the center of gravity of life and significance of human existence. And by extension – in my professional evaluation – the most constructive, disruptive, (or obstructive) and strategic pathway to Africa’s future and survivability, resides in the mastery, application and sustainable control of her Intellectual Capital. Africa must innovate or be digitally enslaved. We must move from abject consumer to respectable creator and producer – with special reference on how to aggregate her Software potentials, skills and capacities for global competitiveness.